Hoosier Beer Geek: A Beer Blog for Indiana, from Indianapolis: Before CANvitational, get to know Sierra Nevada! Sierra Nevada is joining us for CANvitational once again. We're sure there is no need for an introduction. We've been enjoying their beers for quite some time, and they have a passion for beer that keeps us coming back for more! They'll feature their Pale Ale and Torpedo Extra IPA at CANvitational. Head brewer, Terence Sullivan, answered a few questions for us so you could get to know them a little better. 1. What music is usually playing on the brewdeck? 2. What's your brewing mission...what are you trying to accomplish with your beer? Quality, Quality, Quality… And throw in some consistency. 3. How many beards can be found in the brewery on any given day? 4. Which beers outside of your own do you enjoy? Fresh Local Beer, Sours… Sierra Nevada Pale Ale, then I would be telling Ken Grossman what to do. 5. What's your go-to shift beer after a long day at the brewery? 6. Anything else you'd like us to know about you and/or your company? We produce/harvest ~70% of all our energy needs from the Sun. What is Canvitational? 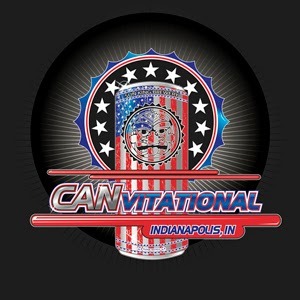 The 2nd Annual Sun King CANvitational will take place in the heart of Midwest – Indianapolis, IN. Located on Georgia Street, known for Super Bowl XLVI festivities and Pan Am Plaza, the CANvitational is set to showcase 40+ craft breweries from all over America who CAN. On Saturday, September 20th, 2014, the 2nd Annual CANvitational will enlighten patrons to sampling craft beer from award winning breweries from across the USA, enjoy local eats provided by local food trucks and music that will be sure to get you dancing in the streets, in an urban downtown atmosphere.